Located in the heart of the Bradenton area, Riviera Dunes Marina offers quick access to the best attractions around town. 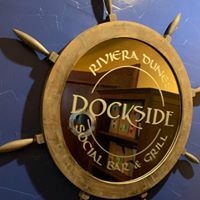 From one of the finest restaurants in the city located on-site just steps from your vessel, to the gorgeous Bradenton Riverwalk only a quick jump across the Manatee River, there is always a great time to have here at Riviera Dunes. Just across the street from Riviera Dunes Marina, the Bradenton Area Convention Center is always a source for local entertainment. With frequent boat shows, craft fairs, classic car shows, and more all on the scenic Manatee River, our boaters never have a dull weekend here at our marina. Whether you need to book a professional space for your own seminar, or you’re traveling from afar to attend a Convention Center event, you’ll find the most convenient parking by docking your vessel here at Riviera Dunes Marina for the day. Downtown Bradenton, Riverwalk, and More! A quick walk or drive over the Man atee River from Riviera Dunes Marina places you in the center of Downtown Bradenton. 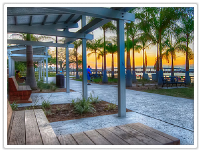 Take a sunset stroll along the beautiful Realize Bradenton Riverwalk, featuring incredible artwork from local artists, expansive sitting areas, fishing pier, and so much more. Visit Old Main Street to enjoy food, music, and endless activities for you and your family, such as the Bradenton Farmer’s Market and annual Blues Fest Weekend. Even attend a Bradenton Marauders’ baseball game, see Snooty, the oldest manatee in captivity at South Florida Museum, and tour the Village of the Arts, all within a short distance from your second home at Riviera Dunes Marina.